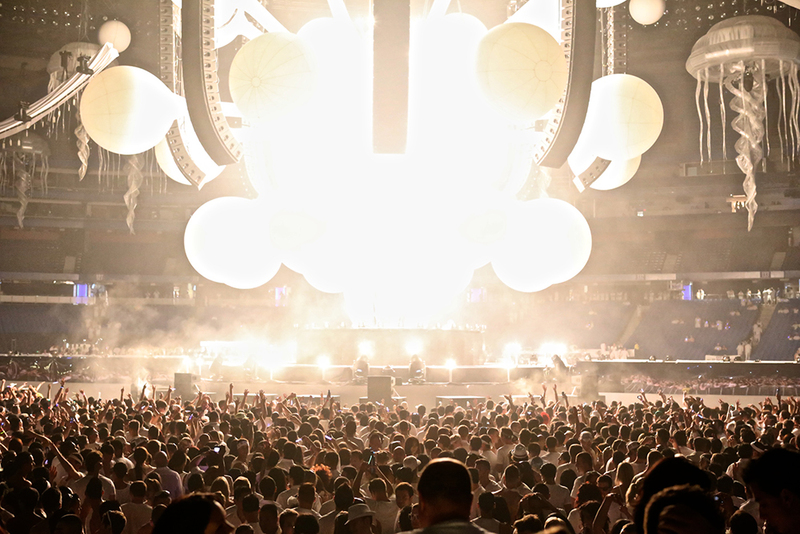 One of the world’s biggest EDM shows had its first touchdown in Canada on June 1st. 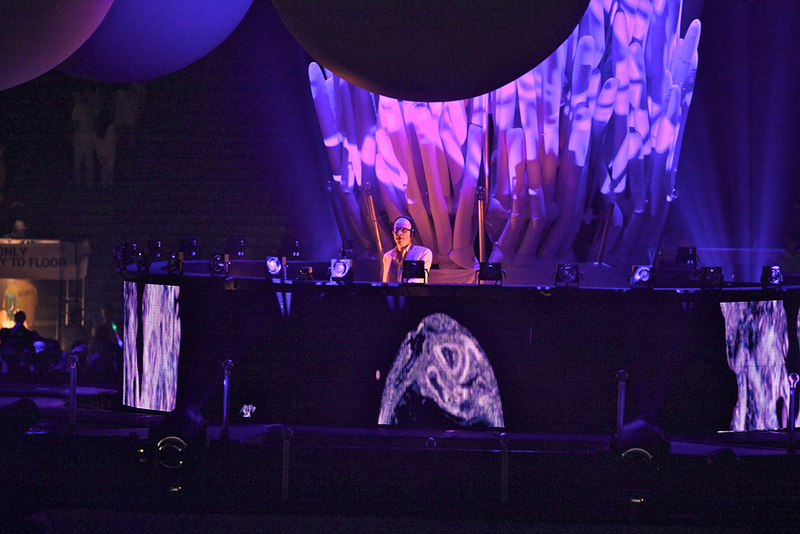 With Bud Light backing up the gig as the presenting sponsor, Sensation took over the Rogers Centre and the rest of the downtown core. Needless to say the word got around a few months in advance. People got excited. Claims like it’s “the biggest party of the year” and “unlike any other” set the expectations pretty high. Quite frankly, if it were anything less than unforgettable, the 26 years of history would have taken a step back in front of a 25,000-people audience. Enter a baseball-stadium-turned-bottom-of-the-ocean as it slowly filled with a sea of people dressed in white. All cliches circulating the social universe days prior came to life: crop tops, v-necks, wings, fur leg warmers, glow sticks, Kanye West shades – this was a rave and there is no doubt about it. Hands down, Sensation knows which DJs to bring to get the crowd going. Even with all the pyrotechnics, the fountains, and the performers, people seemed to be too busy dancing to even notice the underwater world above their heads. Halfway through the night, the exhausted crowds started shifting to the benches where they spread like tired dolphins across the seats with their shoes and shirts off while the rest were tearing up the dance floor to some of the best old and new EDM tracks. Everyone got the same photo, and everyone looked at the same DJ through a phone camera window, but as the night went on the batteries wore out and it just did not seem worth the time to wait for a phone to charge while people with fired up pyro wheels and jets were flying above the crowd. Was it amazing? Yes. The efforts of the 1,000-person crew paid off. The music had everyone who had enough energy to dance dancing. The special effects, the water fountains, the walls of pyrowaves had everyone loosing their minds. Will people remember every detail of the amazing performances? Probably not. People will talk about this for a while. People will keep trying to remember things about that night. Some might never get back the memories of how they got home or where the strange-colored stains came from on their whites, but no one will forget that night.